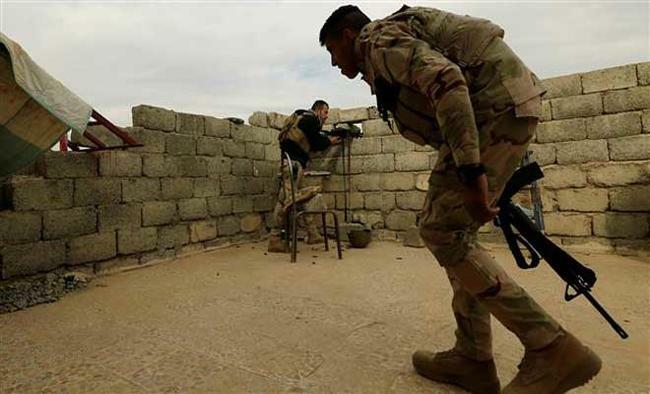 Baghdad: Fierce clashes have erupted in war-torn Mosul as Iraqi forces made gains against Islamic State (IS) militants deep inside the northern city, media reported on Thursday. Fighting continued on Wednesday in the al-Salam neighbourhood, where the IS militants were said to have been using the five-storey hospital, reported Press TV. Three Iraqi soldiers were killed and 40 others sustained injuries in IS attacks on Wednesday, said an unnamed military source. "We advanced in al-Salam district but the situation is difficult, there is heavy fighting," said Iraqi Brigadier General Shaker Kadhem, adding, "We took control of al-Salam Hospital, which was a command center for the IS group. "The Iraqi Army's 9th Armoured Division announced the recapture of al-Salam Hospital in eastern Mosul. Meanwhile, the IS-affiliated Amaq news agency reported that the jihadis carried out five car bombings in the al-Salam area over the past 24 hours.The Iraqi Federal Police also confirmed several car bombings in the flashpoint district around al-Salam Hospital. The Iraqi forces also liberated eight villages in northern Mosul from the grip of IS militants on Wednesday. The special forces further managed to wrest control of the al-Elam neighbourhood in eastern Mosul.Till now, more than 82,000 people have been displaced by the Mosul offensive, said the United Nations.